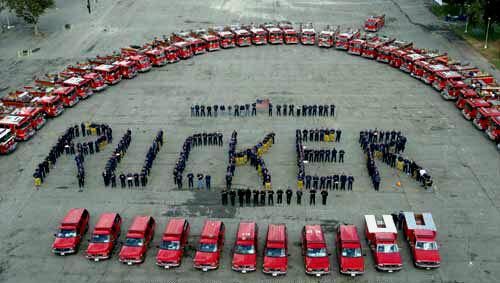 Steven Rucker is one of the greatest Firefighter/paramedic heroes in the history of America. And he was a great paramedic. Let me tell you about what he did for us. 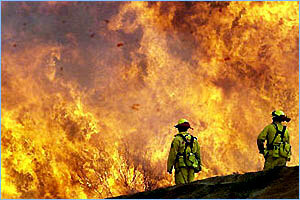 I live in San Diego County, California, and in October of 2003 huge wildfires had spread throughout Southern California. The blazes were out of control and we did not have enough firefighters to battle the flames. Hero firefighters from around the state, and from out of state, rushed to help. And Steven Rucker, who lived in Novato, California (400 miles away from us) was tracking the fires in the news and waiting to spring into action. When he received a call asking if he wanted to help, he said yes and left immediately. Steven was a dedicated firefighter and he NEEDED to help. On October 29, 2003, Steven was part of a team of heroes who were fighting the Cedar Fire, which developed into the largest fire in the history of Califonia. Steven died while battling the huge fire as he tried to save a house near Julian, North San Diego County. 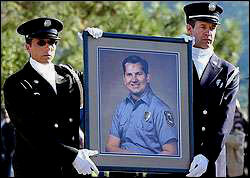 Steven was 38 years old and was an 11-year veteran of the Novato Fire Protection District. Even though he lived 400 miles away, he came to our community to help us. Can there be a greater firefighter hero than this? He traveled into a community that was not his, and lost his life trying to save the house of someone that he did not know. He is survived by his wife, Cathy, and two children. Cathy knew there was great danger in fighting the wildfires, but she also knew that Steven NEEDED to help fight the wildfires. "I let him go, and I don't regret it," said Cathy. "If I had said no, it would have broken his spirit. He had to come and help." 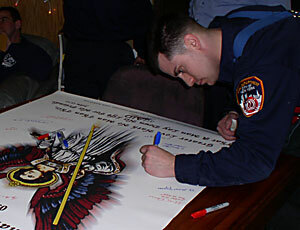 Steven dreamed about being a firefighter from the time he was a young boy; his early inspiration came from the television series “Emergency,” which featured firefighter heroes. "He wanted to be just like [the main characters on “Emergency”],” said Kathy Rucker. And Steven was just like those main characters, he was a great firefighter, and a great paramedic. Before serving as a firefighter/paramedic in Novato, he served as a paramedic for the American Medical Response in Concord, California. He helped countless people during his career. "He helped a lot of people and touched a lot of lives," his sister said. "He was a real hero. We are very proud of him." 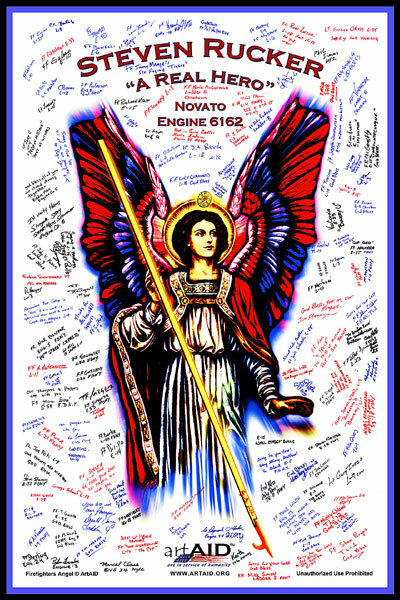 Steven has been honored in numerous ways since he passed away. And one of the greatest honors bestowed upon him was the naming of a portion of a highway after him. 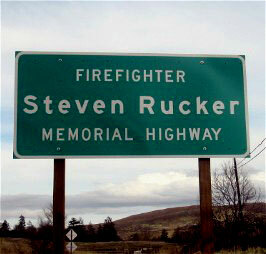 The Steven Rucker Memorial Highway is a 15-mile stretch of state Route 79 that connects the beautiful mountain communities in North San Diego County that Steven fought to save. Steven, we will never forget your sacrifice. And the people who live in San Diego County cannot thank you enough. But let me say it one more time: Thank you. Thank you from every one of us here in San Diego County. You performed your duties at the highest level possible.